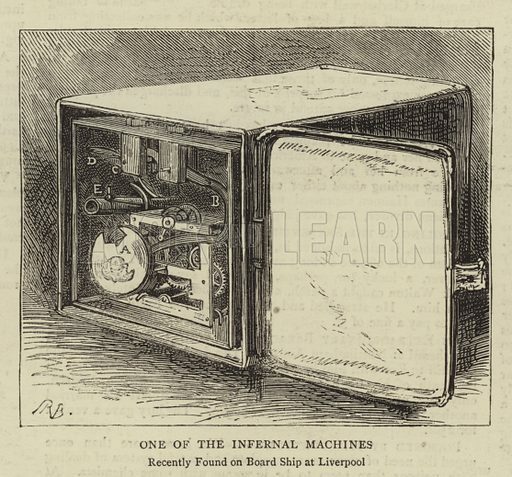 One of the Infernal Machines, recently found on Board Ship at Liverpool. Illustration for The Graphic, 6 August 1881. Available worldwide for immediate download up to 4,144 x 3,861 pixels.